Hi, Shelley! Welcome back to Destination Amish. Tell readers all about your new book, HIS GUILT. Thank you so much! I’m delighted to visit with y’all and chat about HIS GUILT! Basically, HIS GUILT is the story of Mark Fisher, who returns to Horse Cave, KY two years after being unjustly accused of attacking a local woman. Mark gets a job at Blooms and Berries. He’s working for Mr. Lehmann, the one man who always believed in him. There’s another employee at Blooms and Berries though, and that is Waneta Cain. After they get off to a rocky start, she begins to wonder if some of the rumors she heard about him might be true after all. 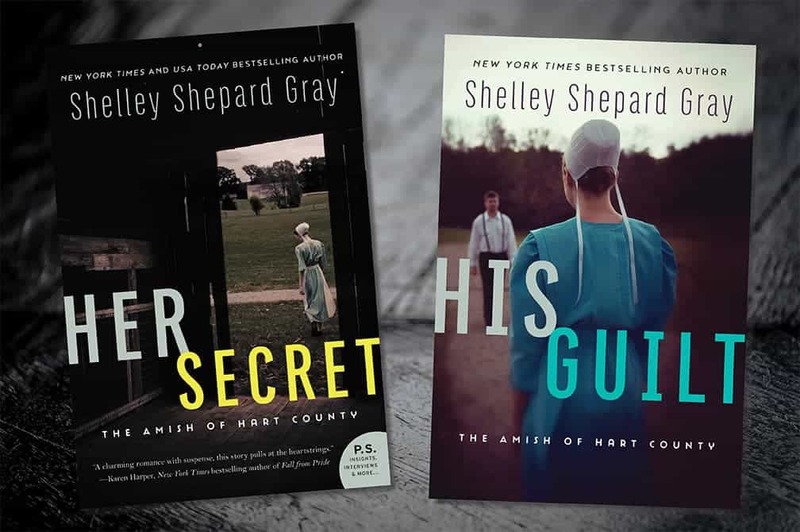 The Amish of Hart County series has been described as a thrilling and heart-pounding mystery. What made you decide to dip your toes into suspense and keep readers on the edge of their buggy seats? About five years ago I wrote a trilogy called The Secrets of Crittenden County. It was set in southern Kentucky and featured a long-running mystery. I enjoyed writing the series so much that when my editor and I decided to set this next series in Kentucky, I decided to give suspense a try. The first book in the series, HER SECRET is my thirty-fourth Amish romance! It’s been fun to try something new. Who is your favorite character in HIS GUILT and why? I have to admit to loving the heroine, Waneta Cain. She was far stronger than anyone thought she was, and she was such a good person. She stood up for what she believed in. I would definitely want to be her friend. These next questions are for fun! ? My favorite Amish community is still Sugarcreek. I’ve set seven novels there and in many ways it feels the most familiar to me. I love pretty much everything about it, and would want to live there if my husband didn’t have to get on a plane every week. Whoopie Pie, though I must admit that neither are my favorites! I love coconut, butterscotch, and peanut butter pies. I like Mary Yoders in Middlefield and Der Dutchman in Walnut Creek. Oh! And Yoders down in Pinecraft. Obviously I have eaten a lot of broasted chicken and pie! Buggy, though now I want to get on a scooter. I really loved writing about all those pretty bicycles down in Pinecraft also. Kindle. I must confess to loving my Kindle. I love getting a book in ten seconds, and carrying all my books around with me. I love to reread favorite novels. Lots of ways! I’m on Facebook a lot, on Twitter (@ShelleySGray), on Pinterest, and I have a website, www.shelleyshepardgray.com. Also… (and I’m so excited about this!) I’ll be hosting a girlfriend getaway in June, 2018 in Sugarcreek! Lots of other Amish authors are going to be joining me there. I’ll be sharing information about this very soon! Thank you so much for stopping by, Shelley! HarperCollins Publishers is giving TWO lucky readers a chance to win a copy of HER SECRET (Book One) and a copy of HIS GUILT. How great is that? To enter, leave a comment below. Two winners will be selected at random and announced on Tuesday, July 18th. Sound like wonderful stories. Love your work! Thanks for the opportunity to win, love your books. I enjoy Christian fiction but with a twist of suspense so the plot isn’t easily figured out. Triologies are interesting too because just a stand alone story always leaves me wondering about other characters in the action. My personal preference is the paperback book in hand! Thanks for your great stories! I love Shelley’s writing and have read many of her early Amish books! I’ve read a lot of wonderful reviews on Her Secret and His Guilt and it makes me excited to want to read them. Thanks so much for the fun author interview and giveaway chance. I love your books!! These two sound really good, would love to win a a copy. I am homebound and reading is my past time. I love Amish fiction. Thanking you for an opportunity to enjoy your books!! I love reading your books about the Amish. Loved the interview with Shelley. I have loved reading all of Shelley’s books and have been hooked since the first one. I love that you have ventured into novels that keep us on the edge of our seats and what to keep reading. I can’t wait to read this book His Guilt. The hardest part about reading books in series is waiting for the next one to come out to read what has happened. I will be reading this one for sure. Love Shelley’s books! I also would love to move to Sugarcreek and eat at DerDutchman’s everyday:) Thanks for a chance to win! Sounds like a great new series/storyline! I have a lot of her Amish novels, and hoping to get these 2, also! She is such a talented writer! I would love to visit Amish country one day, and ❤️ on the horses, and go on a buggy ride! Thank you for this opportunity ~Blessings to all. Great interview with Shelley. Thanks for the chance to win. 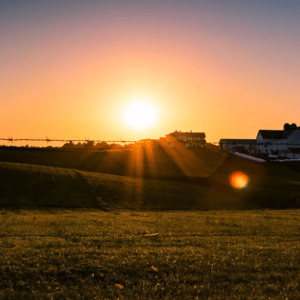 Shelley, you are an author after my heart – – Amish Books are my absolute favorite and I would love to win this contest. Can’t wait to read them and add them to my Amish Library!!! WOW!!! Another great giveaway for some great and new books. I love your great books and the characters you write about. Would love to win. I LOVE to read and hope I am chosen to win!!! What a great giveaway. Would love to win. Great giveaway! the Secrets of Crittenden County are my favorites of all her books. I retread them often. Can’t wait to read this new one! Very suspenceful sounding! My curiosity is piqued. Hope that I will win a copy, would love it! Enjoyed reading the interview. I visited Sugarcreek in 2014 and 2015. Beautiful area. This new book sounds very interesting. Would love to add it to my collection. Thank you. Both of these books sound like great reads. Thanks for the chance. I love Shelley’s books…thank you for the opportunity to win! What a great interview. I have not had a chance to read the books in this series. I am adding them to my TBR pile (at the top). I love a good mystery/suspense book. I have not had the opportunity to visit an Amish community (though I live an an hour and half away from Pinecraft). Thank you for a chance to win. Would love to read those two books!!! I always enjoy your novels and would love to win and read these books. Great opportunity to win one of my favorite authors books. Thank you for the chance. Love your books… I get lost in them…Thank you so much for the opportunity. Thank you for writing more…I need to get lost again … I enjoy each of the Characters in your books!!! I find the titles very intriguing—really would enjoy reading them. Hope I win! I really enjoy Shelly’s books and like reading Amish fiction. I enjoy learning about the Amish way of life. Really enjoyed reading this interview. It is nice to know what an author likes . Love to read Shelley’s books and looking forward to reading His Guilt Thanks for this opportunity to win! I have been to Yoder’s in Pinecraft and also the Amish Market next door. I’m looking forward to going back there again someday. Shelley, I love your books, and have your first book in this series on my nightstand to read next. I am never disappointed in your stories. Thank you for the chance! Enjoy all your books. Looking forward to this new one very much. Am not lucky so will have to get it on my own. Thanks for agreeing to be on here and giving readers a glimpse into His Quilt. I do love Amish Mysteries. I would love to read this series. If I should win it would be nice . Whether I win or not I would still like to read it. Thanks for your most generous giveaway. Love Shelley’s books! Haven’t had a chance to read these yet though! Would love to win a copy of them! Thanks for the opportunity! Who wouldn’t love to get these books! I love everything you’ve written .. haven’t seen these til now!! I’ve been keeping up with all your treks recently on FB. It is amazing & how much fun! I love your reads & would love to have these to read. Thanks! I just love your stories!! I would love to win a copy and start reading! The girlfriend get away in 2018 sounds wanderbar good! Hope to meet you some day!! The two winners of this giveaway are: Jeanne Bugg and Mary Lou Morrisey. Congratulations! Thanks for entering, everyone! Connecting with a favorite author’s newest would be great! I love Shelley’s books and this would be an awesome set to win. Thank you for the interview and contest.